MARBLE FALLS — Come October, downtown Marble Falls will have new features, and if you’re a sculptor, now is the time to get your art in on the act. 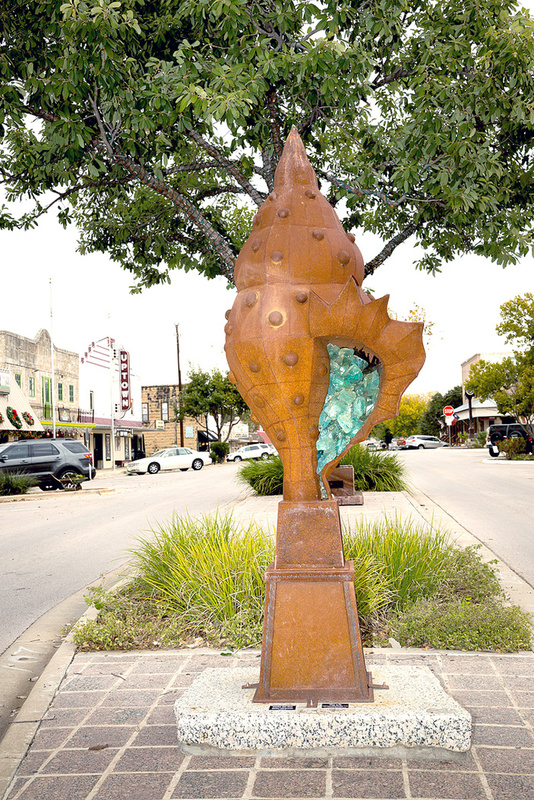 Highland Lakes Creative Arts, a nonprofit dedicated to promoting the arts in the area, has issued a call for entries for the Sculpture on Main. This outdoor art display features sculptures from artists from across the country. Applications will be accepted through Oct. 1 with selected artists notified by Oct. 5 and installation later that month. Sculptors can submit up to three pieces for consideration. Highland Lakes Creative Arts will select up to 15 pieces to display through October 2020. The 2018 Sculpture on Main Celebration is Friday-Saturday, Nov. 9-10. Sculpture on Main highlights the sculptors, the arts, and the community. The pieces are placed on Main Street or nearby. The first event was in 2007. Since then, other communities have patterned similar outdoor art exhibits and programs after Sculpture on Main. Over the years, the outdoor art exhibit has helped Marble Falls become known as an art destination, though Highland Lakes Creative Arts officials are working to further that reputation. Highland Lakes Creative Arts also sponsors Paint the Town, a plein-air art competition, in the spring. Go to hlcarts.com for more information.